Honda's light middleweight gets a new look this year, thanks to a new set of plastics and lights. While we think it looks more like a typical supersport bike now, it seems to be a step back from their new style introduced with the VFR1200. Mechanicals are unchanged from last year. Today at the AIMExpo show in Orlando, Florida, Honda presented most of its 2016 CBR lineup, with the aggressively restyled CBR500R making its world debut. Almost 25 years after the introduction of the CBR900RR, Honda's modern sport bikes continue to offer performance and reliability. "Since their respective introductions, the fun, affordable CBR300R and CBR500R models have been very popular with a wide variety of customers," said Lee Edmunds, Manager of Motorcycle Marketing Communications at American Honda. "For 2016, the CBR500R receives striking updates, and we're happy to unveil it here at AIMExpo. Both of these machines draw from the successful racing DNA of the CBR600RR and CBR1000RR, which return for 2016 with new colors." With all-new styling that offers a sharper, more aggressive look and improved airflow for increased rider comfort and better handling, plus refinements like LED headlights and taillights, the new CBR500R adds great curb appeal to legendary performance and reliability. 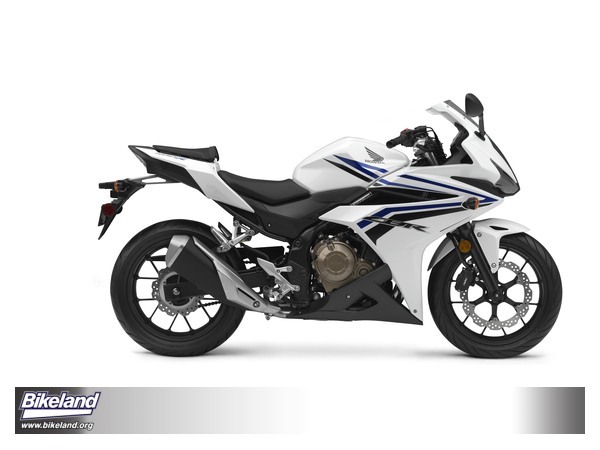 Other updates include a new muffler design for improved mass centralization, lighter weight and an improved exhaust note, plus an adjustable front brake lever, smoother gear-change feel, a larger fuel tank with a hinged fuel cap and front suspension with adjustable preload. The CBR500R also now uses a wave ignition key for smoother function. The inline-twin 471cc engine offers accessible power output that smoothly revs up to redline, while emphasizing low- to midrange torque for real-world usability. Honda Genuine Accessories are also available for the new CBR500R, including a high windscreen, seat cowl, tank pad, 12v accessory socket and seat bag.